Le Tour De France comes through Morzine in 2016! Le Tour De France Comes Through Morzine – 2016!! One of the most prestigious sporting events on the planet comes through Morzine, France next July! Morzine/Avoriaz will host an incredibly nail biting finishing stage before they fly up to Chantilly for the final stage ending in Paris. Road biking is extremely popular in Morzine and hosts some of the most challenging yet fantastic roads in the alps. 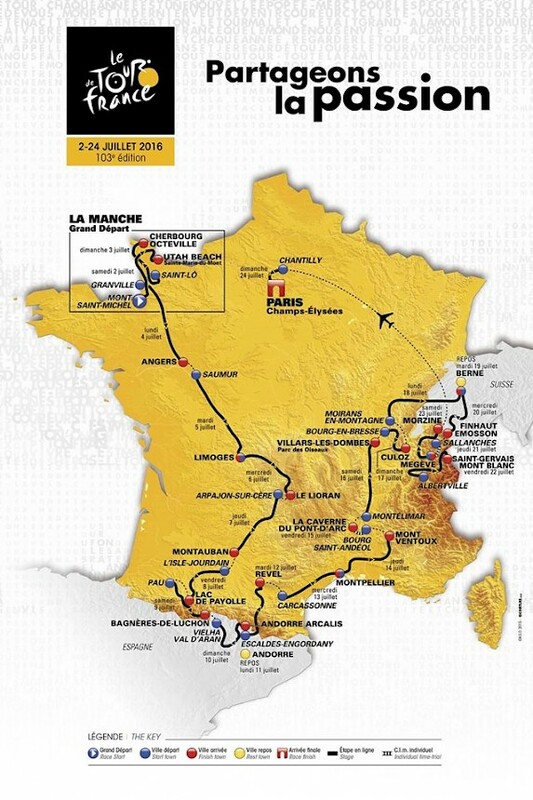 Next years Tour de France, on the 23rd July, will certainly provide for incredible athleticism and even better spectator viewing! Here is the official tour map which will see almost a month of challenging road biking! Have a look at GoPro footage of Le Tour De France from 2015 here. No doubt 2016 will be just as epic! Previous: Morzine Ski Chalets – what makes Mountain Mavericks special? Next: How do you explain how good a chalet holiday is?